MINI has launched ‘Yours’ customisation options, which allow buyers to create a completely unique car, specific to their individual sense of style. The Yours catalogue includes exterior paint colours, vinyl ‘tattoos’ interior trims and upholstery options that were previously unavailable to MINI buyers. 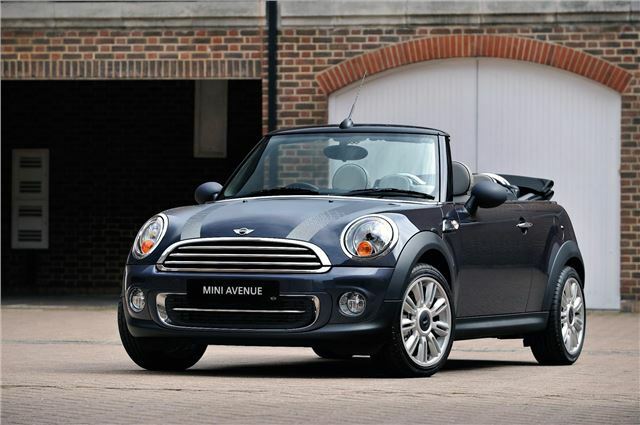 MINI will also help buyers select well matched combinations with the addition of MINI Yours packages. The first Yours package to launch, called Avenue, features either Highclass Grey or Laguna Green metallic exterior paintwork, as well as Satellite Soda Grey leather interior trim, a sports steering wheel, Soda mirror caps, white bonnet stripes and 17 inch alloy wheels. The Avenue package costs £4,880 on MINI One, One D, Hatch, Convertible or Clubman models – so a One D with the Avenue package would cost £19,360. Initially the Yours options will be available for Hatch, Coupe, Convertible and Clubman models, with options for the Countryman debuting towards the end of 2012.